If you have a love for crafting and are looking for a Christian-based direct sales opportunity, Close To My Heart, may be for you. Jeanette Lynton, is the founder and CEO, and she has over 30 years of experience in the industry. The company is all about helping individuals preserve memories and learning how to foster creativity. Close To My Heart has an array of high quality products for papercrafting, with a spotlight on items needed for scrapbooking and stamping. But, it certainly doesn’t stop there. You’ll also find embellishments, kits for all occasions, tools for card making, and even jewelry. The company believes in giving back and has partnered with Operation Smile. Through their organization children are provided necessary surgeries to make their smiles better. So far, 1,500 children have benefited from Close To My Heart’s generosity. Compensation: You will receive a 22% base commission on your personal purchases and sales from Close To My Heart. Commissions can be as high as 35%. This is dependent on the total of your monthly sales. The opportunity to receive a $75 credit toward select products each month is also available. Start-Up Costs: A new consultant kit, which is valued at over $205, will cost $75. Tax and shipping are additional. The kit includes an organizer, an additional $50 product credit that can be used on select core merchandise, and business tools. Videos on the business and the products are available for Consultants. You will also be able to go through training courses to grow in your knowledge and confidence in sharing with others. If you, or your customers, need some inspiration, there is plenty to be found by subscribing to the Close To My Heart blog. Personal Website: Websites are provided at no charge to the Consultant. Customers can place their orders any time of day and have their items shipped directly to their homes. Quotas to Maintain Active Status: During each calendar quarter, a Consultant must have a minimum amount of $300 in sales. If a consultant doesn’t start at the beginning of a quarter, time would not start until the beginning of the next full quarter. Bonus Opportunities: During your first 90 days as a Consultant, you can be a part of the Straight to the Top Program. This program has certain products that can only be earned during this time. The opportunity to earn a company trip for you and a guest is an additional, separate incentive. Hostess Rewards: By being a Hostess for a Close To My Heart Gathering, you have the opportunity to earn free products as well as discounted products. The higher the sales are, the more the Hostess benefits and doesn’t have to pay for shipping on rewarded items. Consultants can also be Hostesses at any time. 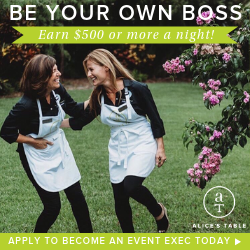 Whether you want to build a business or simply become an Independent Consultant to benefit from the discount, you will be part of a community who will help you achieve your goals.